This is really my kind of book. It is based on true people, has secrets, scandals, affairs, style glamour, and betrayal. If that sounds like too much, it’s not. Melanie Benjamin does a wonderful job of bringing us into the inner circle of the rich and glamorous of New York society in the mid 1900s. She paints a picture of the relationship that blossoms between author Truman Capote and his “Swans” – the women of the social elite in New York- Babe Pauley, Slim Keith, Gloria Guiness, and Pamela Harriman. These ladies seem to serenely drift through a series of lunches, shopping and parties on estates and yachts. We also see the underbelly of their lives- the addictions, affairs, and betrayals. We float along as they take Capote under their wings, each believing they are closest to him. We are there when Capote finally breaks into the big time with his publication of the true crime novel In Cold Blood. This is followed with his famous Black & White Ball. Desperate to put out another successful story, he publishes the short story Le Cote Basque 1965 in Esquire magazine. The title is a direct reference to the storied restaurants the Swans would always lunch at. Here is a great article about that piece and its fall out-needless to say Truman was shocked to find himself totally cut off from the friends he betrayed. This was such a great book. It was fun but held my interest completely. My only problem was that I had to keep putting it down so I could google pictures of all these glamorous people! I was eager to read this book because it was based on the famous courtesan Sai Jinhua. 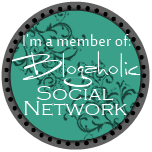 One of my favorite books is Memoirs of a Geisha, which while not based on a real person, was an impressive depiction of the lives of these intriguing women. 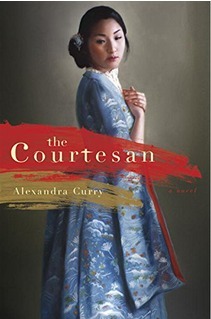 The Courtesan takes place in China during the late Qing dynasty. The story is steeped in history- the weak emperor, the threat of Western Imperialism, the Boxer Rebellion. I felt the need to break out my old books from college, especially the class I took in Chinese history. Jinhua is a pampered child of a courtesan who is adored by her father, but barely tolerated by his first wife. When the father is executed by order of the emperor, the wife sells the child to a brothel and enters a convent. At the brothel, Jinhua finds a friend in the maid Suyin, who tries to protect her the best she can. Their relationship is the only good thing in her life, as she suffers the pain of foot binding, and an education in “bed business”. When she is old enough, her virginity is sold to the highest bidder. For some years, she must suffer the humiliation of living and working in the brothel, until she is sold to a wealth diplomat as his courtesan. With him, she travels to Europe and is amazed at the amount of freedom women have there. She realizes she cannot life forever hidden away. While I enjoyed much of this book, Jinhua never felt like a real character. I understand how difficult it must be to write about a actual person, but I think the author made Sunyin a more interesting character and would have liked to have had the story include her more. While some parts of Jinhua’s life was passed over- like how she left the diplomat- I thought the author did wonderful job of portraying China and her people during this turbulent time. Psychologist Grace Blades treat patients that have suffered extreme trauma. As a child, she witnessed the murder-suicide of her parents and had to suffer through many difficult situations in foster care. Now she helps people through the hardest parts of their lives, while keeping her own life sealed off from relationships. When a new patient is murdered, Grace feels she must solve the crime herself. 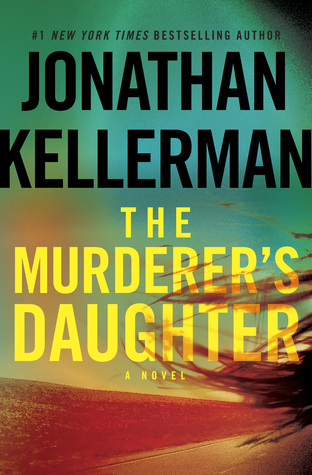 I am sure I have read other books by Jonathan Kellerman in the past, but I honestly don’t remember them. I was excited to read this book, because it wasn’t a part in a series, like many of his are. While I enjoyed the book, I didn’t love it. The story is in alternating times- the past and present of the main character. It did keep me absorbed for about 3/4 of it, but I began to feel the parts with the adult Grace were a lot less interesting than those with young Grace. I think that a reason for this is that young Grace, despite such a difficult childhood, still had the potential to become a happy person. Adult Grace simply has not, but instead has crafted a very lonely life. The murder mystery was pretty cool- I love anything to do with cults- but the idea of this beautiful, smart psychologist running around in disguise and breaking the law herself just didn’t seem that believable. A brilliant, deeply dedicated psychologist, Grace Blades has a gift for treating troubled souls and tormented psyches—perhaps because she bears her own invisible scars: Only five years old when she witnessed her parents’ deaths in a bloody murder-suicide, Grace took refuge in her fierce intellect and found comfort in the loving couple who adopted her. But even as an adult with an accomplished professional life, Grace still has a dark, secret side. When her two worlds shockingly converge, Grace’s harrowing past returns with a vengeance. Both Grace and her newest patient are stunned when they recognize each other from a recent encounter. Haunted by his bleak past, mild-mannered Andrew Toner is desperate for Grace’s renowned therapeutic expertise and more than willing to ignore their connection. And while Grace is tempted to explore his case, which seems to eerily echo her grim early years, she refuses—a decision she regrets when a homicide detective appears on her doorstep. An evil she thought she’d outrun has reared its head again, but Grace fears that a police inquiry will expose her double life. Launching her own personal investigation leads her to a murderously manipulative foe, one whose warped craving for power forces Grace back into the chaos and madness she’d long ago fled.